What’s this? Pictures taken outside? How rare, right? 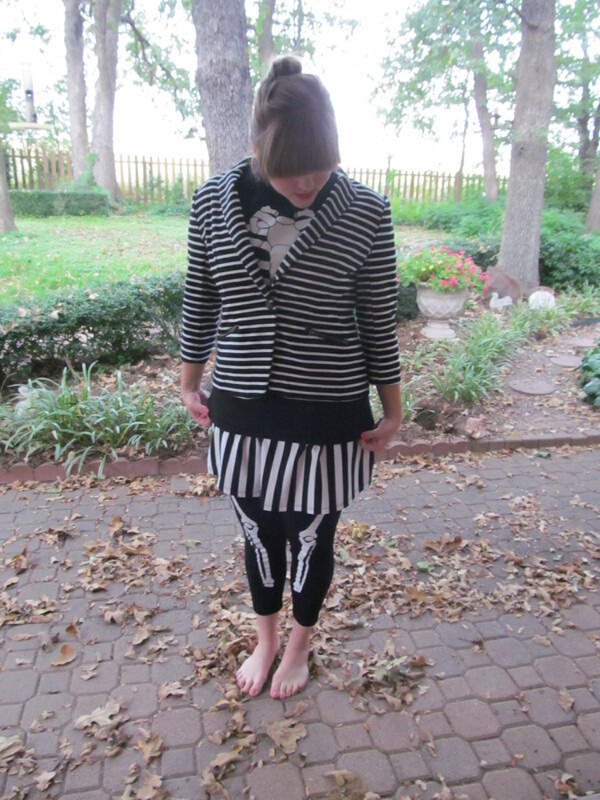 I decided to wear more Halloween clothes the day before Halloween because I was going to an honors Halloween party Thursday night. I didn’t wear the skeleton “costume” to the party, I actually went as Audrey Hepburn (and apparently didn’t get any pictures…if anyone else did, text them to me?). 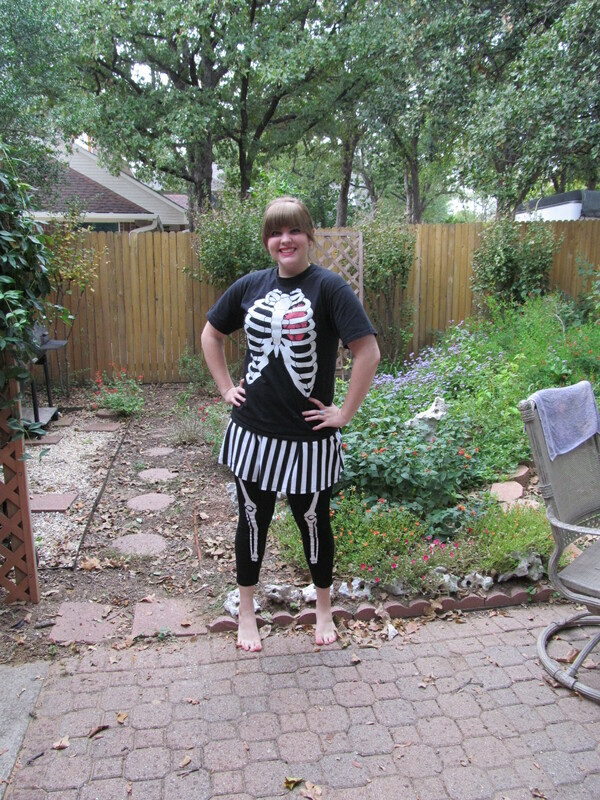 During the day I wore The Dress, bone leggings, and a skeleton t-shirt. 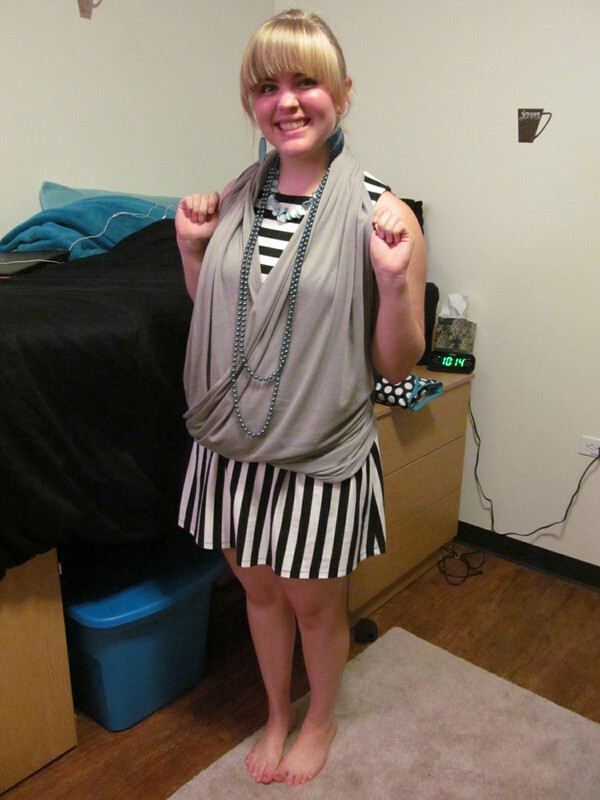 For my costume I wore The Dress, black flats, a black cardigan, a head scarf, and huge sunglasses. 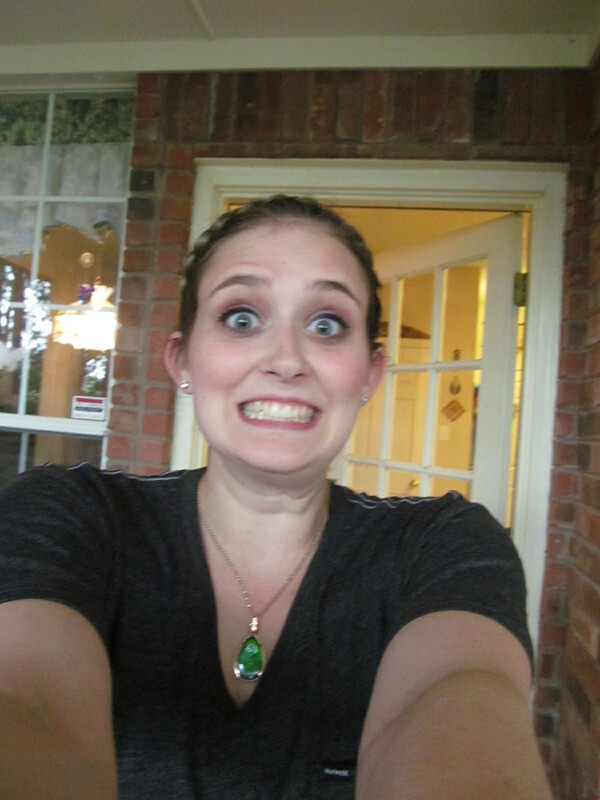 This is what happens when you take selfies on my camera, they get posted for the internet to see! You’re welcome, Alexa. 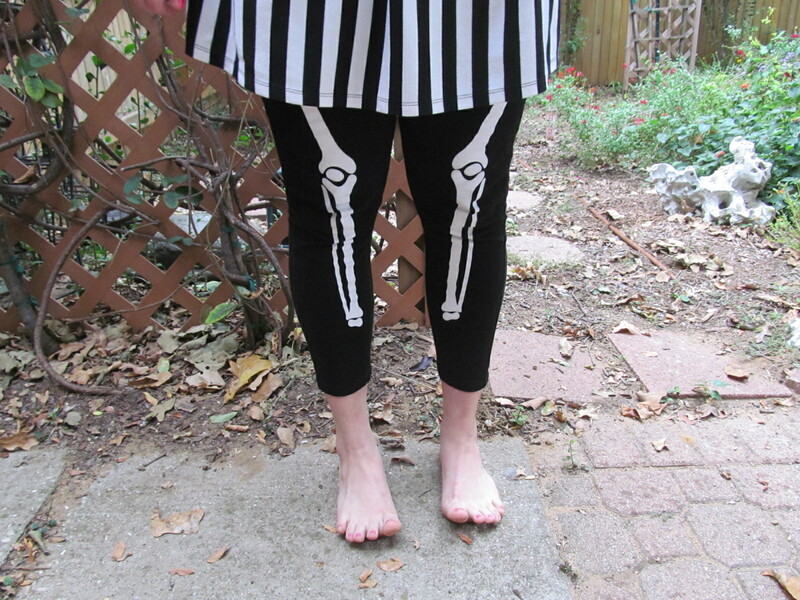 Remember that day I was caught up on blogging? Yeah, me neither. 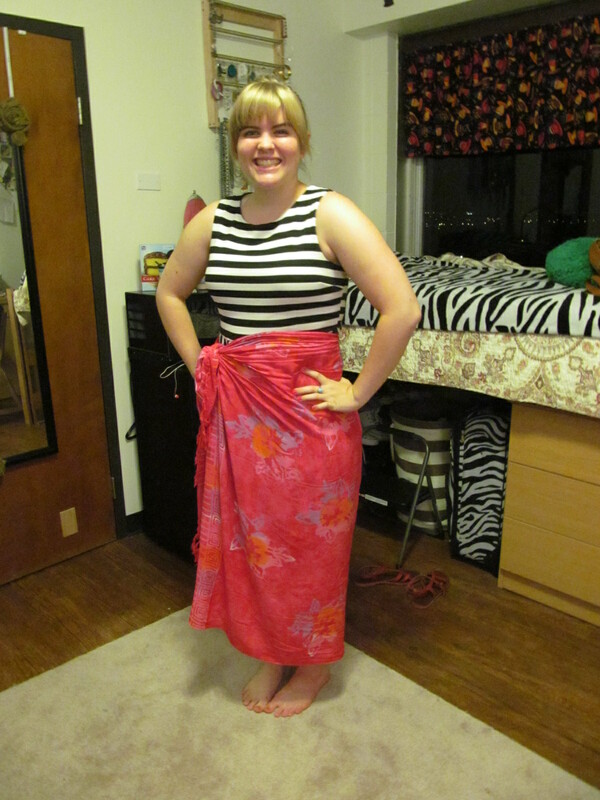 Most of the day on Wednesday was spent in The Dress and a t-shirt because all I was doing was studying and going to one evening class, but I decided to make it a little more interesting (and also I wanted to cover up the pilling) for Bible Study so I tied a beach-y scarf around it. Doesn’t it make you wish it was summer again? I’m craving the beach. At least it’s still warm here (gotta love Texas heat!). Today, creativity was simply not happening. I had to make two pots of coffee because while making the first one the filter of my french press turned sideways and filled all my coffee with grounds. I stayed up quite late last night studying for my history midterm (it’s on Thursday, if you want to sent well-wishes my way). And an 8am class was literally the last thing on my “this would be fun to do” list. Therefore, I present you with the least creative outfit I have worn all month (excluding day one where all I wore was The Dress). All I did was pin my scarf into a drapy “shirt” (which I kind of look prego in, don’t worry mom, I’m not) and throw on some blue jewelry. The good news is tomorrow I don’t have class until 6pm so I can spend all day getting things done! And sleeping in, mostly sleeping in. 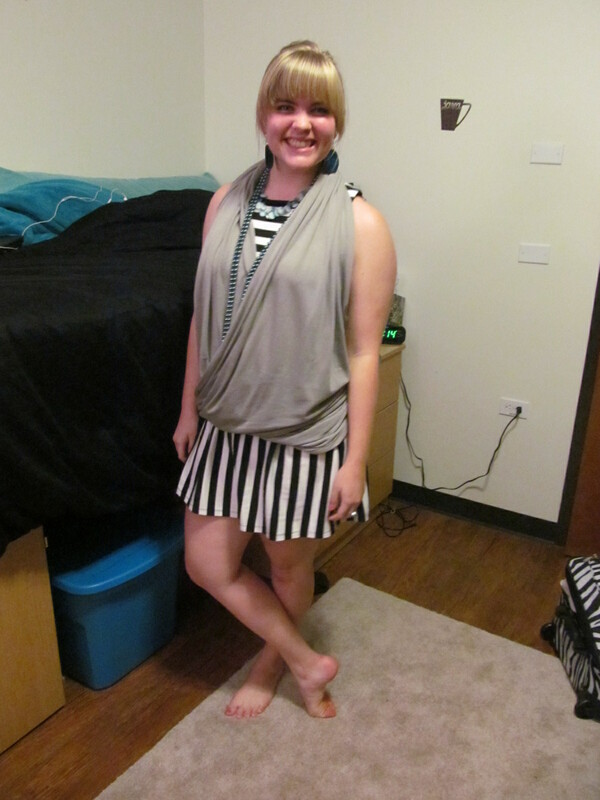 This is potentially my favorite outfit so far. 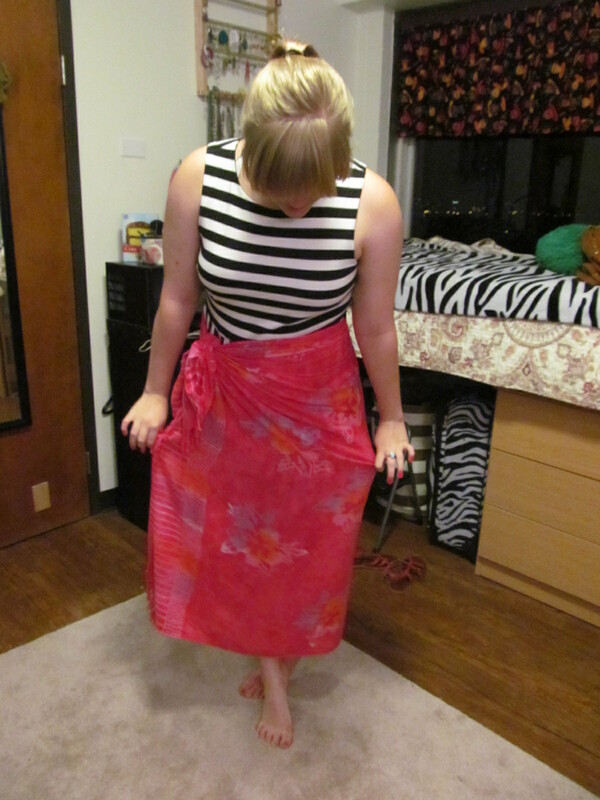 I had the idea to wrap a scarf around as a skirt because the waist of the dress is so high that most of my normal skirts are too big to wear around that spot, but with a scarf you can wear it anywhere. 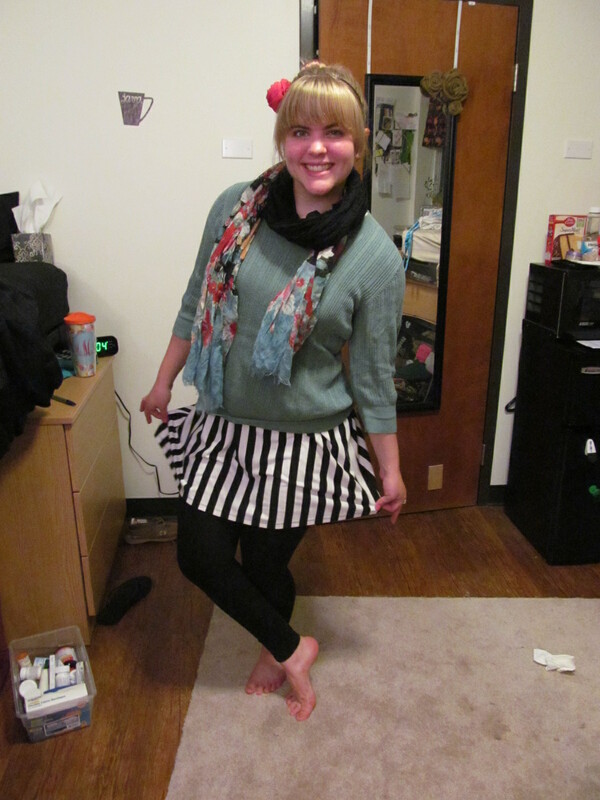 I also wanted to wear tights because the scarf constricts the skirt a little in the back, making it a little shorter than usual. 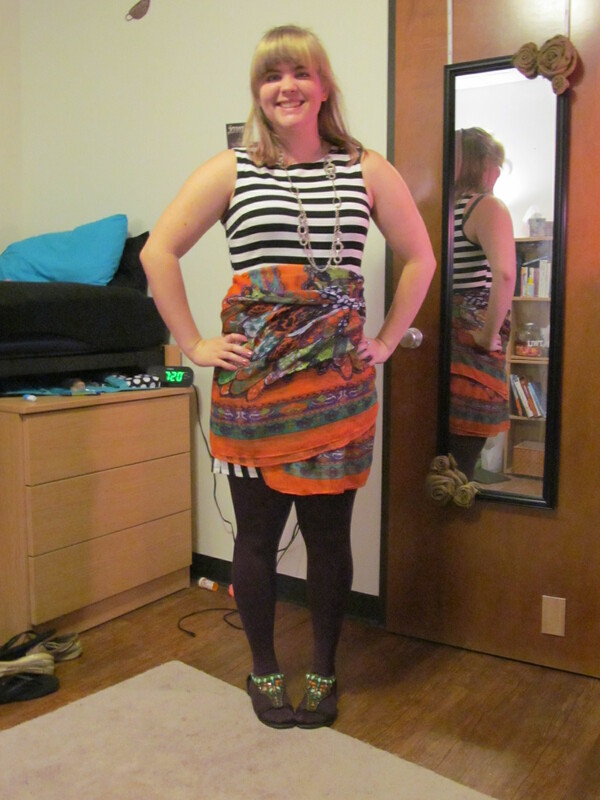 So I had to match a pair of tights to a scarf, which led me to the orange and purple (I’m sorry to all my South Carolina Gamecocks fan readers, please don’t disown me). 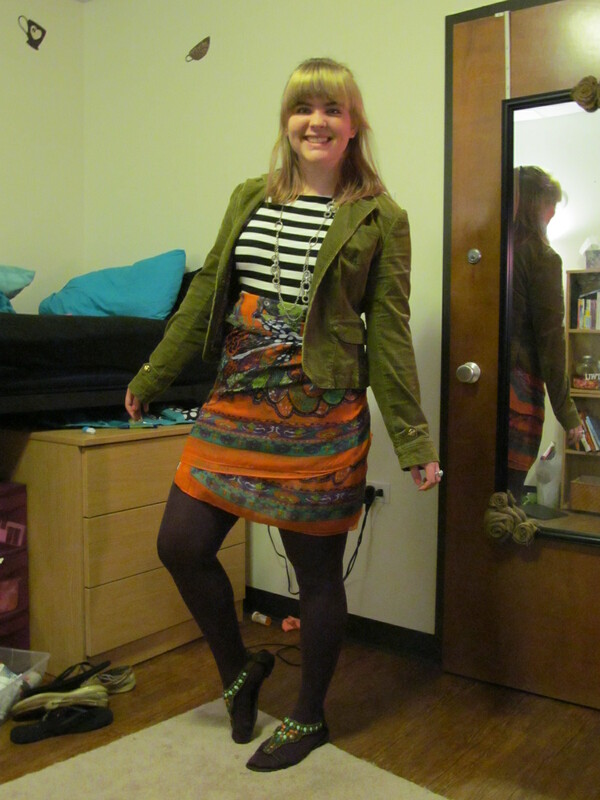 Then I added the green blazer, which is one of my favorites, just because of the pretty color. 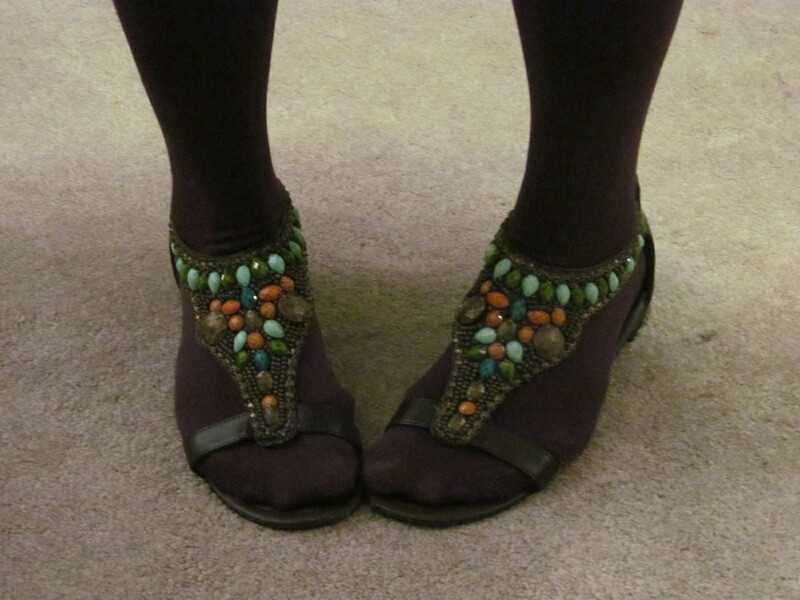 Lastly, I wore brown sandals with orange, blue, and green beads. I was a little concerned at first about wearing tights with sandals, but I don’t think it was as big of a deal as I assumed it would be. 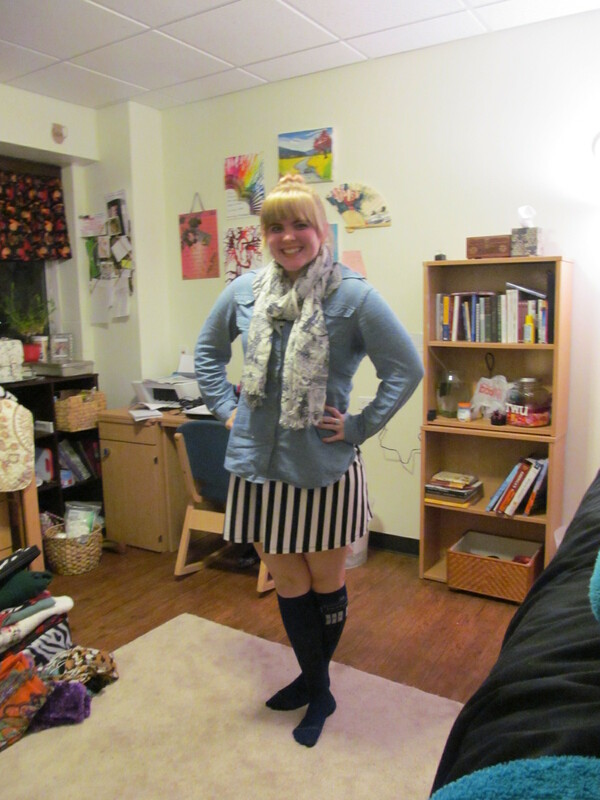 Anyways, this is probably one of my new favorite ways to wear a scarf, so keep an eye out for more of this to come! Oh the joys of taking pictures at the end of the day vs. the beginning. Including tired eyes and stretched out sweaters. These were also taken after I got back from bowling with some Honors friends and FOCUS friends ($1 games from 9-midnight, how can you turn that up? ), which was a blast! We’re over halfway done with the month, and it feels like it has flown by so quickly! It’s funny to me how the days can go by so slowly but the weeks speed by. 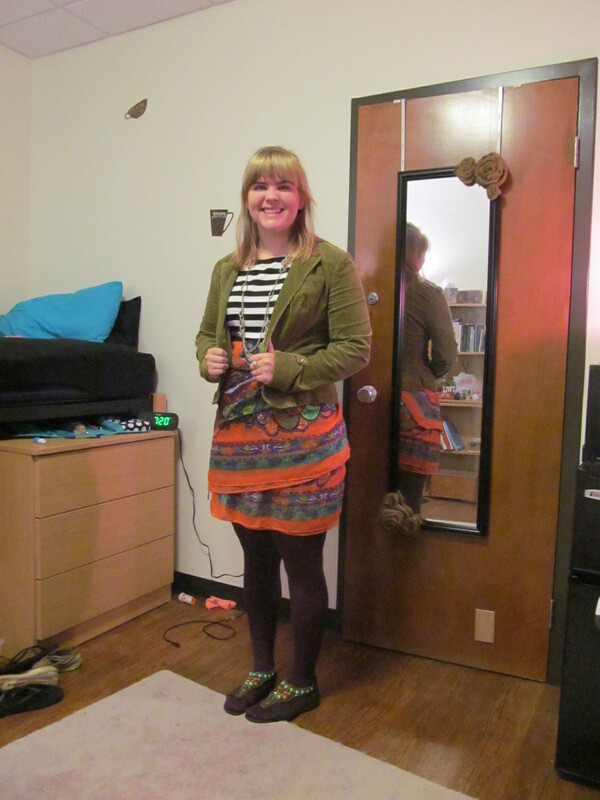 I love this outfit, even though it’s a little in-cohesive. It’s simple, but still pretty cute, I think. Plus it’s full of items I love individually. 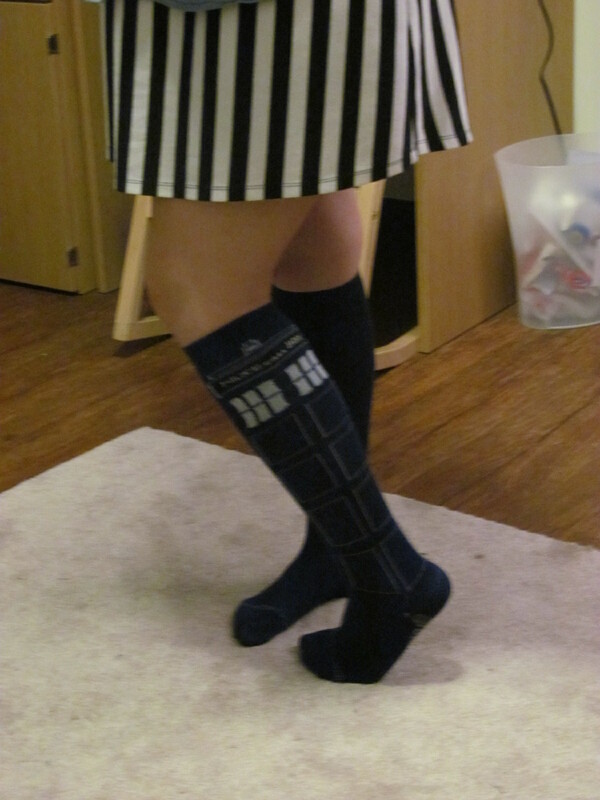 My scarf has da Vinci’s inventions on it, and my socks have the TARDIS on them! 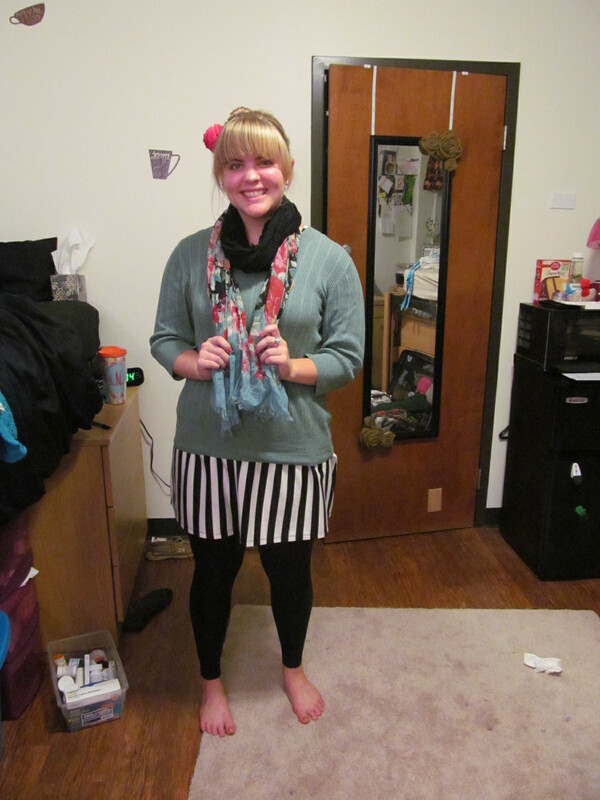 So even though it isn’t the best matching outfit of all time, I love it because I love wearing items that I love. That was legit one of the most confusing sentences of all time… You get the point. 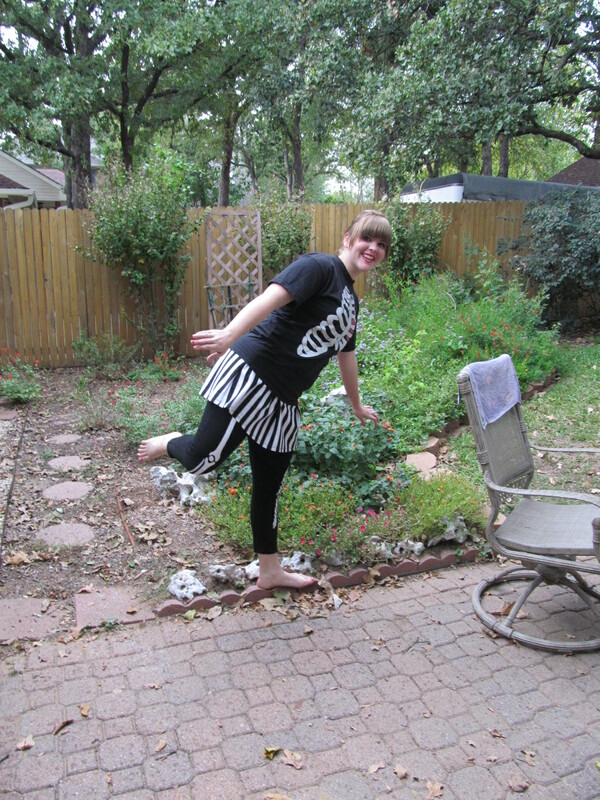 During the day I was wearing my sparkly TOMS, but they had been kicked off long before these pictures were taken. A letter to the friend I never should have trusted.